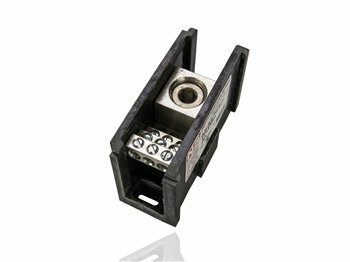 This NSi Industries J-30 jumper is made of silicon bronze for conductivity and resistance to corrosion, and is suitable for use with NSi Industries double-row terminal blocks. It has a current rating of 30 amps, and is used to bridge two terminals on a terminal block. 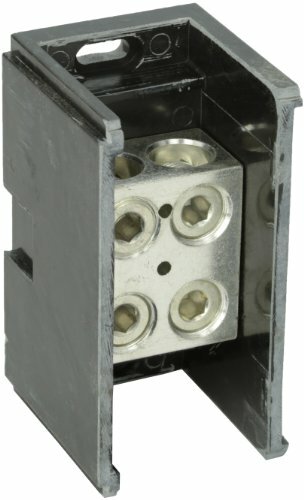 This jumper is suitable for a wide range of electrical applications with an appropriate NSi Industries terminal block.NSi Industries manufactures electrical components and sensors, lighting products, and energy management products. The company, founded in 1975, is headquartered in Huntersville, NC. This NSi Industries TBS2-2 two-pole terminal block splicer/reducer is suitable for splicing or reducing copper or aluminum conductors from American Wire Gauge (AWG) #2 to #14. It has a voltage rating of 600V and a current rating of 75 amps. It measures 1.75 x 1.25 x 1.5 inches (L x H x W). (L is length, the horizontal distance from left to right; H is height, the vertical distance from bottom to top; W is width, the horizontal distance from front to back.) 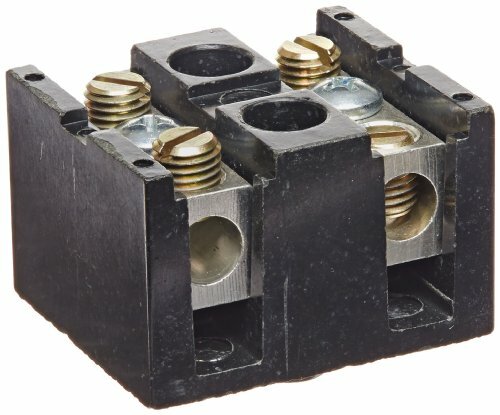 This two-pole terminal block splicer/reducer is Underwriters Laboratories Recognized (UR) and Canadian Standards Association (CSA) certified, and is suitable for a wide range of electrical splicing or reducing applications with appropriately sized conductors.NSi Industries manufactures electrical components and sensors, lighting products, and energy management products. The company, founded in 1975, is headquartered in Huntersville, NC. This NSi Industries TB3096-8 double-row power distribution and terminal block has eight terminals, is made of glass-filled polyester for strength and durability, has corrosion-resistant plates, and is suitable for a variety of electrical routing and termination applications. It has a voltage rating of 600V, a current rating of 30 amps, and a temperature rating of 208 degrees C. It is 5.5" long, 1-15/16" wide, and has #8 stud size mounting screws. This double-row power distribution and terminal block is suitable for a wide range of electrical applications.NSi Industries manufactures electrical components and sensors, lighting products, and energy management products. The company, founded in 1975, is headquartered in Huntersville, NC. 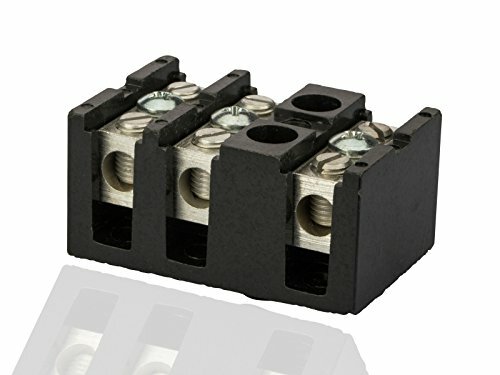 Power Distribution Block 500 MCM-4 AWG Primary 4-14 AWG SecondaryPower Distribution Blocks are made of high strength, high-conductivity aluminum alloy and are mounted in a high-strength glass-filled polyester base. Each block can stand alone or combine with other blocks to form a multi-block set. Add as many holes as you need, in any configuration you want! There are no end pieces or connector pieces to fool around with. Default SCCR Rating 10,000 Amps. SPECIFICATIONS: QUANTITY: 1 Count LINE SIDE LOAD SIZE # of Wires Wire Range # of Wires Wire Range 1500 MCM-4 AWG 124-14 AWG AMPS PER POLE: 380 LENGTH: 4.00 HEIGHT: 2.62 WIDTH: 1.71 BRAND EQUIVALENT: Burndy BDB-112-350-1 Greaves SPD-R1-H12 MANUFACTURER: NSi Industries PART NUMBER: AM-R1-H12 UPC: 662381165466 We have the best selection and prices on connectors. This NSi Industries TB3096-12 double-row power distribution and terminal block has 12 terminals, is made of glass-filled polyester for strength and durability, has corrosion-resistant plates, and is suitable for a variety of electrical routing and termination applications. It has a voltage rating of 600V, a current rating of 30 amps, and a temperature rating of 208 degrees C. It is 7.75" long, 1-15/16" wide, and has #8 stud size mounting screws. This double-row power distribution and terminal block is suitable for a wide range of electrical applications.NSi Industries manufactures electrical components and sensors, lighting products, and energy management products. The company, founded in 1975, is headquartered in Huntersville, NC. NSI power distribution and terminal block, terminal blok splicer/reducer. Current is 75 amperes. 600 volts. Wire range is 2-14 AWG CU/AL. Number of poles is 3. Measures 2.38" length by 1.50" width by 1.25" height. 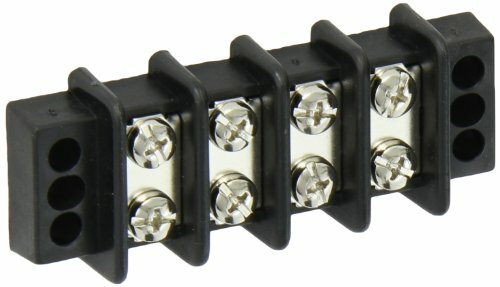 NSI double row terminal block. Heavy duty construction with corrosion resistant terminal plates ensures dependable, easy-access multiple termination block. It is made from strong, glass-filled polyester, these blocks are rated for 30 amps and 600 volts maximum. Screws are #8 stud size. Temperature rated to 208 degree C.
NSI connector bloks - splicer/reducer. 500MCM-4 AWG Line and 500MCM-4 AWG load side configuration. Measures 5.50-inches length by 2.90-inches width by 3.25-inches height. UL recognize, CSA certified. 760 Amperes per role. Shopping Results for "Nsi Power Distribution Blocks"